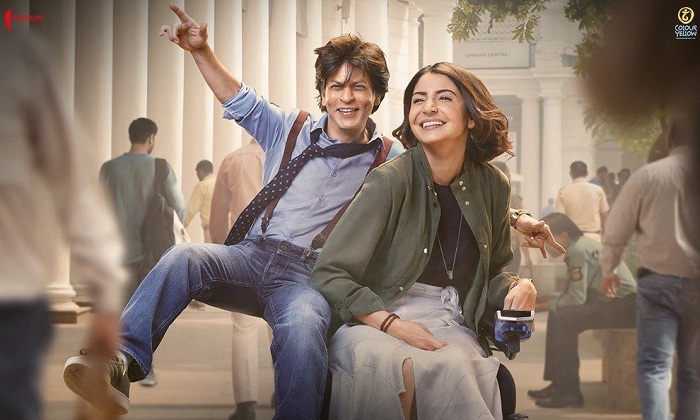 Zero trailer is out on 2nd November on occasion of Shah Rukh Khan birthday. Trailer has received positive reviews from all corners in social media. If remember correctly, last time such response was seen at the time of Chennai Express. Trailer had done the work and now it is upto the song promos to create further impact. Guys, I just saw the trailer of Zero. Just one word... OUTSTANDING!!! Congratulations @aanandlrai ! #Katrina is fantastic! @AnushkaSharma is unbelievable! @iamsrk, you have outdone yourself! Can't wait to to watch the film! 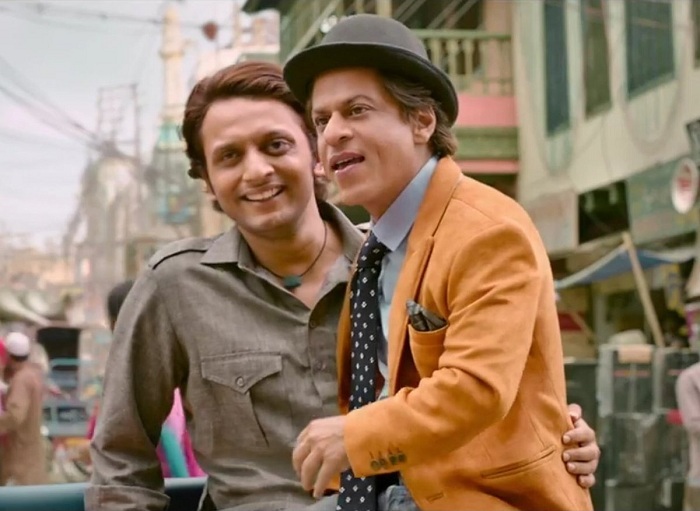 Dear @iamsrk, firstly wishing you a very happy birthday and secondly huge congratulations in advance...saw the #ZeroTrailer and loved it! Superbly packaged, has blockbuster written all over it! Really looking forward to the film. Zero stars Shah Rukh Khan, Katrina Kaif and Anushka Sharma in lead roles. Film is directed by Aanand L Rai and produced by Gauri Khan. Film releases on 21st December, 2018! Pahle muze laga kuch naya concept hoga PK type par akhir mein wohi Jab Tak hai jaan. Pakk Gaya hoon love stories se..
Aur ye srk hat faila faila ke bore Kiya hai...har film mein wo hi pose. And that coz of Xmas this will be hit..
Only Thugs of Hindustan will challenge Bahubali2 Hindi..
Bhai srk tingu k roll me celebrity kese pta skta h ? Zero trailer 3 bar Dekhi kuch missing vaigaira hai Kya dekhne ke like..par Maza nahi aaya..
Kuch alag concept chahiye tha..
Wohi Senti dailoug ghishi piti story aur hat failake bhik mangna..
Tabhi main soch raha that aise faltu trailer ko it views kaise mile..
YouTube open zero trailer chalu..
Iski vajay se views jyada mil Gaye..
Sab dikhave ka zamana ban Gaya hai.. Nonsense. Your Aamir copied the whole film and you are blaming one who try some experiment. And this is not proper love story.contains everything comedy, emotions and there is science fiction too in the climax.And Aamir Khan also praise the trailer. response is positive everywhere. So who are u to call the film bad? Check Aamir and Shahrukh's filmography. Aamir also did many love stories in his career. In SRK'career I don't find more than 15 proper love stories in 60 film Career. That means he just did one fourth romantic films in whole career. Rest are Action, drama, Masala, negative role and many experimental films. What happened to Aamir if SRK didn't reject Lagaan, Rang de basanti, 3 idiots.whatever good films Aamir did in his career is left by Shahrukh. Abe ghochu Aamir left the biggest film of SRK s career DDLJ. Bada aaya SRK ka fan. Sun ye Zero 250 Crore bhi cross nehi karega. Screenshot le le is comment ka. Abe ghochu DDLJ never offered to Aamir. Its offered to Saif Ali Khan.before him Adi chopra want to cast Tom cruise but Yash chopra suggested Adi to take Shahrukh. BTW,your Aamir copied whole Thugs of hindostan film. Salman's Bharat is also Korean film remake. Only Zero is new and fresh film. Nonsense. Baazigar, darr, Anjaam, Baadshah, Ashoka,Devdas, Main hoon na, paheli, Don,Ra 1,don 2,HNY,Dilwale, FAN, dear zindagi, Raees are love stories according to you? His biggest experiment and daring was to do negative roles in starting of his career. He did Ra 1 thats also big experiment. Now Zero is also experiment in his tough time. And Aamir and Salman did more love stories in their career. Shahrukh khan is most risk taker actor. And your tingu Aamir is Son of Raju hirani .it's late Yash Chopra Sir who made every film after SRK's debut because tingu gave Him disaster Parampara .And It's true Raju hirani want to make his every film with SRK from Munna Bhai to 3 idiots . Muje ye nhi samaj aata tu srk ka fan kyo h ?? Tu shayad paid fan h.
Ya childish mind wala imotional fool insaan.....jo Haklu fake imotional love scene dekh k paagal ho chuka h.
Or parampara ka konsa song hit hua tha , ye b bta de ?? And why u are fan of Aamir? And as far as new directors is concerned Ddlj was Adi chopra's debut film.kkhh was Karan johar debut film. Main hoon naa was Farah Khan debut film. And SRK is working with directors for 1st time like Maneesh sharma, Rahul dholakia, Gauri shinde Anand Rai. And you become blind fan who didn't want to accept the truth. Lagaan, RDB,3 idiots robot all these films offered to SRK first.every director in industry want to work with him. but u are a blind Aamir fan. It is waste of time to argue you.everyone knows Who is more popular worldwide and carry more stardom. Blind fan !! In other words Which Atbb kajol had gave without SRK ? Hai kon ye Kajol be.who knows her outside India. Extent of blindness and stupidity !! It's too much. Kitna jhuth bolega tu. Today morning I read an article on bollyarena "7 blockbuster films rejected by Shahrukh khan". And those 7 films are - Knph, Lagaan,Munna bhai, RDB, Jodhaa akbar. 3 idiots and Robot. U can also read that article. And in Salman's rejected films I found DDLJ and Ghajini too. So you are exposed Mr cheater. Kitna jhooth bolega. Mujhe v Aamir pasand hai but Jo Sach hai use to accept karo. Tu total blind fan h hakle tingu ka. Vese tu Zero me dekhega kya ?? You don't want to accept the truth.so who is blind fan. Mai robot 2 ki nai robot 1 ki baat kar Raha hu. Robot 1 was offered to SRK but same time he was doing Ra 1.tujhe proof de raha hu phir v kehta hai ki main blind hu. Just because kamal hasan played dwarf, now Zero is remake of Appu Raja. Main nai tu sabse bara blind hai. Tujhe bhagwan v nai samjha sakta.God bless u. 1st time any Superstar is playing dwarf role. And who told u it is romantic film. This film celebrate incompleteness. It will inspire physically and mentally challenged people. Itna sab kuch naya hai lekin tum haters ko kuch dikhai hi nai deta. Tum jaiso ko race 3 hi pasand ayegi. Aamir ne pura Thugs of hindostan copy kar Liya lekin isme koi problem nai hai. Yahi hota hai blind fan. Bhai par srk to Bone k roll me b srk hi h. Bone ka roll to shi krta. **tiya type love triangle h movie me.Or bone k roll me VFX h. Esme srk ne kya kiya ?? Srk ka baap Kamal hasan bhot phle Appu raja bn chuka h.Appu raja ki copy h.
Or TOH confession of thug se inspire h....kbhi naam b suna h? ?